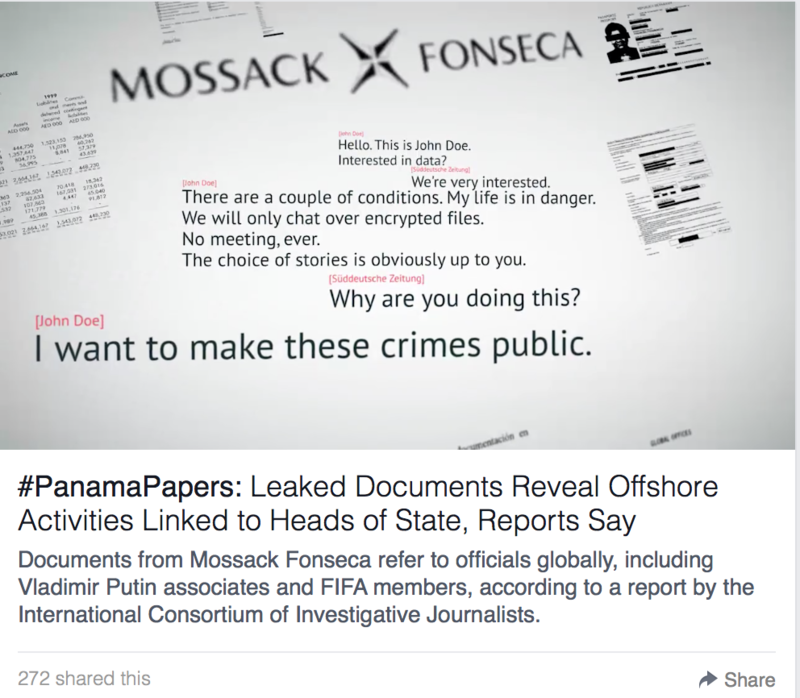 I’ve been watching #panamapapers play out in social and other media this week and it’s reinforced that we need to stop talking about social versus other media. It’s medias. Most people are sampling a global information smorgasbord and developing a point of view. This is how I followed the story. 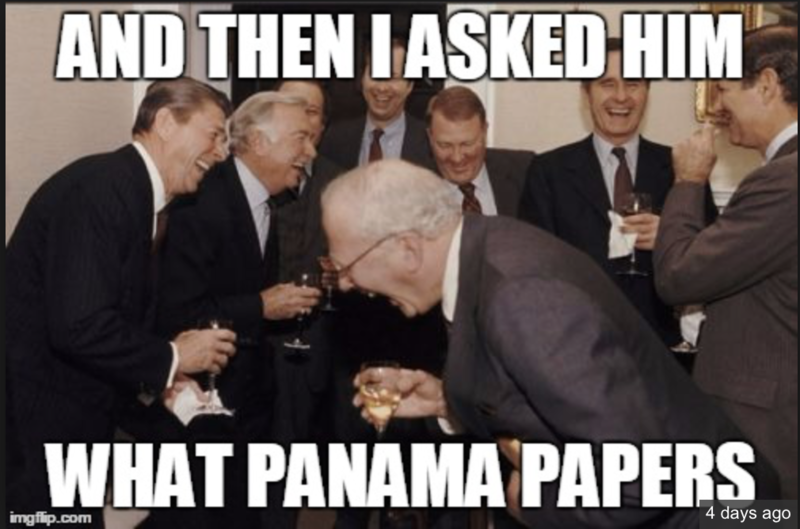 I first heard about the #panamapapers on Twitter, where else? Like many others, this is where I source news. 2. I clicked on a link to The Guardian, multiple hyperlinks in the opening paragraph kept me initially reading from within the site. 3. Here I read about the International Consortium of Investigative Journalists (ICIJ) responsible for investigating and breaking the story. Paused to bookmark their blog and subscribed while I was there. 4. Followed @ICIJorg on Twitter. 5. 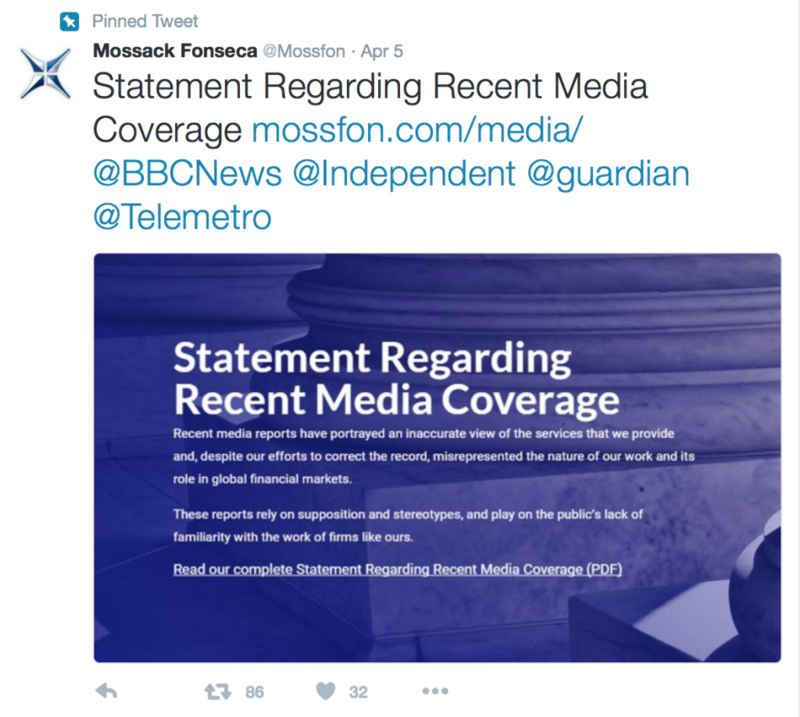 Went through the Guardian stories to other news publications and posted to Twitter and Facebook. Discussed with friends including on Messenger and WhatsApp. 7. Watched the TV news. 10. Quick check in before bed on #panamapapers hashtag on Twitter. Updated. Went to sleep. 11. 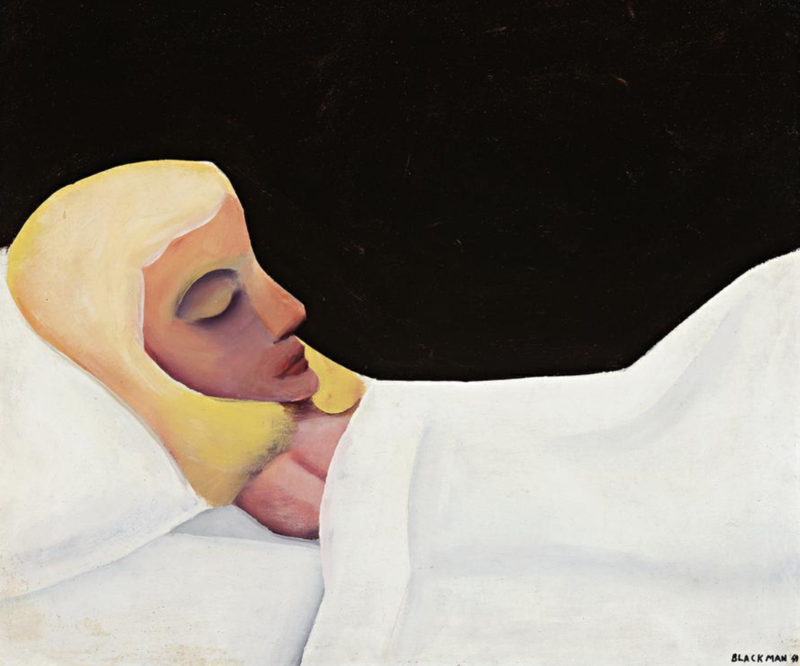 Woke up. 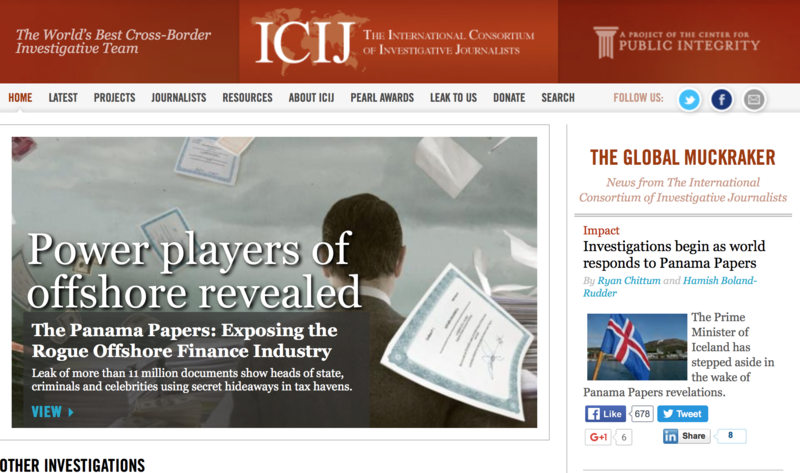 Email amongst others from ICIJ with link to their blog. Clicked. Read. Shared widely. 12. Saw email in inbox from WordFence on hack. 13. Linked to their blog. 15. Responded to Facebook comments from the night before. It’s not hard to see why institutions and authorities continue to lose people’s trust or why trust between peers continues to grow. 16. 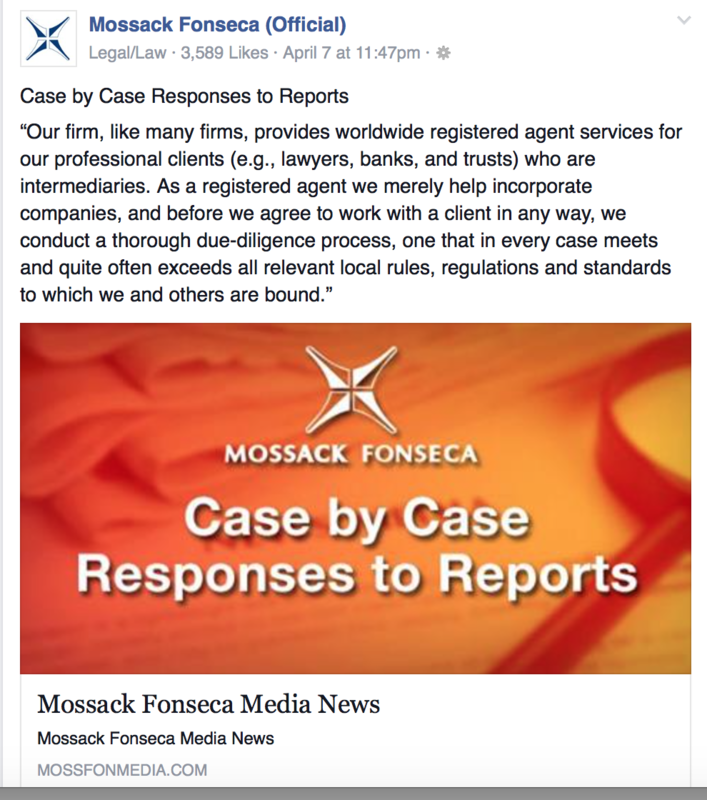 Out of curiosity, looked up Mosssack Fonseca official Facebook page while I was there. 17. Found it. That much was good. Not so good, the legalistic, personality-less approach. This will further alienate people because whatever the intention, it sounds like they don’t care. There are further problems on the corporate site, which I will get to in a minute. 18. Checked their Twitter account. Didn’t follow the account but did follow the pinned tweet to the company media release. Pinning that tweet to the top of their Twitter account is spot-on social media crisis management as it’s the first thing people will see. So is taking the reader to the company website, where they can control materials they put out. An opportunity to tell your side of the story if you get someone there, provided you do it right. 19. Read the PDF media release. No video. No audio. No blog. No live comment. Not a face to be seen. 20. I quote the release. “The unfortunate irony is that the materials on which these reports are based actually show the high standards we operate under.” These are fighting words given the context. 21. They also seemed misplaced given the real-time analysis emerging from specialists like WordFence, which provides a blow by blow complete with authenticating screenshots on their blog. 22. Quoting. “The MF client portal that provides clients access to data was running (and continues to run) a version of Drupal that has over 23 vulnerabilities? “Unfortunate irony”? “High standards”? The story on the biggest leak in corporate history had broken days prior. MC do have a story to tell. They are responding to cases one by one, even if briefly. I know they’d be in 24-hour crisis mode but this approach would further put credibility into question. 23. Checked to see if the @TEDtalks platform had published anything quickly as they had with the discovery of gravitational waves. 26. Followed Robert and Global Witness on Twitter. 27. Moreover, this all happened swiftly and effortlessly. I moved from social to ‘traditional’ media, reading established publications and the blogs of ICJA, WordFence, Global Witness, Mosssack Fonseca. I watched video online within Facebook’s feed, from Twitter, on TED and the TV news. Exchanged views with people in person, on the phone, through text, Messenger, WhatsApp, Twitter and Facebook. People still talk about social media as an adjunct to media. Or try to minimize the value of platforms like Twitter because they ‘only’ take you to established media outlets. Instead we’re moving continuously from platform to platform and across channels, through push and pull, organic and paid content, consuming personal, media and expert commentary in multiple formats from all over the world. And if a platform is banned, as in China where the censors are working overtime people are are getting it in other ways. 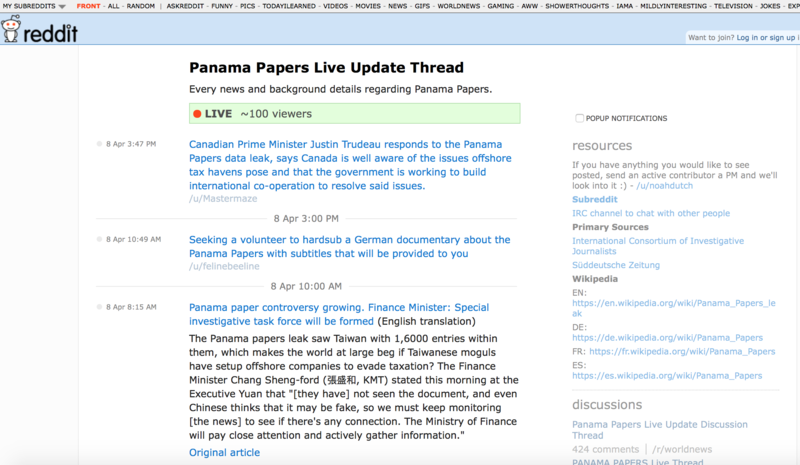 Publishing directly from its blog ICIJ is now a media company. Several books have already been published (yes, they had lead time), available for purchase. Punters can donate directly to ICIJ, so it’s using the content to create a business model to support independence, since it takes no government funds. It’s clear from the leak that independent funding is critical. No doubt those concerned about future leaks will try place their own people into IJIC now. While all this seems highly fragmented and is from a publisher’s perspective, for the person consuming information it just lots of stuff that comes together as an integrated narrative and point of view over time. 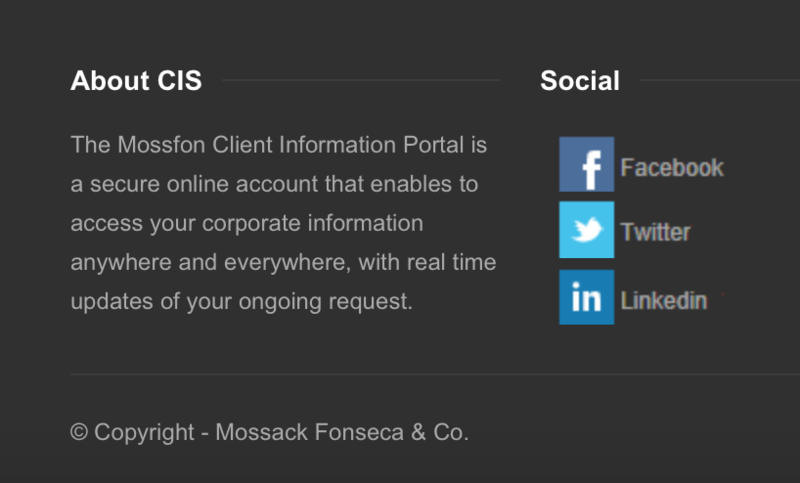 That is why Mossack Fosenca’s statement on its portal (still up) that the client information portal “is a secure online account” will be viewed (and commented on) cynically, in particular since the irony is straight from the horses mouth. It’s time to stop talking about social media versus other kinds of media. It’s mediaS. Of course I have to end a post like this with an Internet meme. where would be without them? 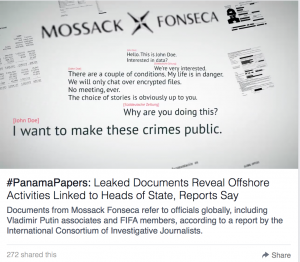 This entry was posted in Social media and tagged authority, blogging, credibility, crisis, fragmentation, integration, media, medias, online reputation management, panamapapers, social media crisis. Bookmark the permalink.